June 14, 2011 — Tuscan Traveler has compared the two museum passes available in Florence. Check this link. As the prices of reserved tickets to the Uffizi or the Accademia hit 14 euro ($19) or above (depending on if an extra exhibit is included, such as last year’s Caravaggio or Mapplethorpe shows), there is much talk in Florence about a multi-day museum pass. And, in fact, the mayor has announced that soon a three-day 50 euro pass ($67) will be available. 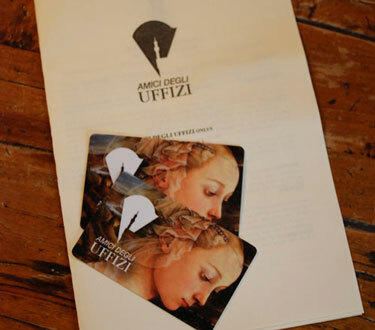 But Florence already has a great museum pass – the Amici degli Uffizi membership card. 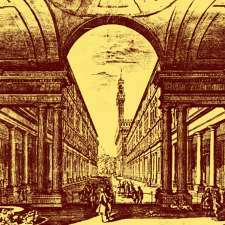 Established in Florence in 1993 by a group of concerned citizens, following a terrorist bombing that damaged the Uffizi Gallery and some of its precious artworks, Amici degli Uffizi (Friends of the Uffizi) embarked on the task of restoring and maintaining the artistic heritage of the Uffizi Gallery. Since 1993, the Amici degli Uffizi has supported the Uffizi Gallery in Florence by facilitating acquisitions, supporting restorations and organizing special temporary exhibitions. The Friends of the Uffizi Gallery (the American sister organization), in conjunction with the Amici degli Uffizi, raises funds to support all of these activities through an international group of members and patrons. Over twenty important restoration projects, designated priorities by the Uffizi Gallery, have been completed over the last several years and include important paintings, altarpieces, sculptures and tapestries. The organization also underwrites special free exhibits for the public such as the recent one of Self-Portraits of Women Artists. But best of all, for residents and visitors of Florence, Amici degli Uffizi offers its members a year-long museum card for 60 euro ($80) for individuals, 100 euro ($134) for families (2 to 4 members included in the one price), and 40 euro ($54) for students. Memberships can be purchased online or at the the Amici degli Uffizi Welcome Desk located between Entry Door Nos. 1 and 2 at the Uffizi Gallery. The best part of having the Amici degli Uffizi card, besides free entry to more than twenty museums, (at the end of this post is a list of all of the museums included in this card) is the ability to skip the line. At the Uffizi and the Accademia visitors wait for hours unless they have the foresight and the extra 4 euro to make a reservation. With the Amici degli Uffizi card you go to the ticket office, show your card and a photo i.d., and you are given a ticket for immediate entry into the museum. Not to belabor the point, but the Uffizi is a huge museum, mind-numbing in its number of paintings. With the Amici degli Uffizi card you can go in to sit for an hour or so in the Botticelli Room and come back the next day (or after a nice lunch) to enter again with a new free ticket to peruse the Titians and pop by the monolithic Byzantine enthroned madonnas. At the Welcome Desk, members will also be able to access useful information about the museum and the city, information about cultural programs sponsored by the province of Florence and the Tuscan regional government, and via the online connection with the APT (Agenzia Per il Turismo), visitors can obtain real-time information about current cultural programs.